The Research and Industrial Policy Advice Division (EPR/PRS/RPA) conducts integrated applied economic research on themes related to UNIDOs mandate at the international, regional, country and sector level, and disseminates the findings thereof. On this basis, it provides strategic and specific industrial policy advice to Member States to accelerate industrial development. The Division also supports Member States in the identification, design, implementation and evaluation of policies that aim at expanding and diversifying their productive capacity, and advocates for sustainable industrialization strategies at the global, regional and national level. In discharging these responsibilities, it implements projects and collaborates closely with other relevant organizational entities of UNIDO, including those providing technical cooperation services. 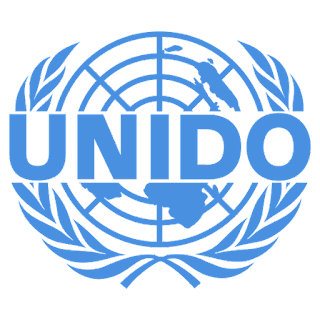 The Industrial Policy Advisor works under the overall guidance of the Senior Coordinator of the Research and Industrial Policy Advice Division and under the framework of Component 2 of project 180028 Programme for Inclusive and Sustainable Industrial Development which is implemented with the allocation to UNIDO from the funds earmarked by SIDA for the Economic Growth and Employment Outcome of UNDAP II. This component is led by the Research and Industry Policy Advice Division of UNIDO and it will ensure that capacities in the Government are improved to collect and analyze necessary information and statistics that can inform decision makers and calibrate policy making up to a detailed level that provides the necessary enabling conditions for businesses in the industrial sector to grow to meet local demand and to be able to export. Participate in relevant Governments working groups and fora; providing inputs on strategies to spur industrial development in Tanzania. INTEGRITY: To work honestly, openly, impartially and in accordance with the values of the United Nations. RESULTS ORIENTATION AND ACCOUNTABILITY: To be accountable and responsible for achieving results and meeting. Performance Standards: PLANNING AND ORGANIZING: To plan, organize and manage work effectively and efficiently. University degree at Master's level and in Industrial/Economic Development, Economics, Political Science or a related area. Working knowledge of other official language(s) of the United Nations, an asset. Employees of UNIDO are expected at all times to uphold the highest standards of integrity, professionalism and respect for diversity, both at work and outside. Only persons who fully and unconditionally commit to these values should consider applying for jobs at UNIDO. All applications must be submitted online through the Online Recruitment System Correspondence will be undertaken only with candidates who are being considered at an advanced phase of the selection process. Selected candidate(s) may be required to disclose to the Director General the nature and scope of financial and other personal interests and assets in respect of themselves, their spouses and dependants, under the procedures established by the Director General. NOTE: The Director General retains the discretion to make an appointment to this post at a lower level.